(Natural News) An animated earthquake map video produced by the U.S. NWS Pacific Tsunami Warning Center (PTWC) shows every recorded earthquake between January 1, 2001, and December 31, 2015, – the first 15 years of the 21st century. After showing the time-sequenced earthquake history, the video next shows all of the quakes from the 15-year period simultaneously. Then, earthquakes greater than 6.5 magnitude – ones big enough to trigger a tsunami – are shown. Finally, the map shows only earthquakes with a magnitude of 8.0 or higher from the 15-year period. It’s easy to see where the major activity occurs – along the Pacific Ring of Fire, which includes the west coast of the United States, Canada, Central and South America, as well as Japan, China’s coastal regions and many Pacific island nations. Surprisingly, many of the world’s nuclear reactors are situated along the Pacific Ring of Fire and numerous other major fault lines. The 9.0 magnitude earthquake that struck off the coast of Japan in 2011 was the most serious example of what can happen when a nuclear plant is not only built near a major tectonic fault line, but next to the sea as well. The resulting tsunami caused a major nuclear accident at the Fukushima nuclear power plant – one that has still not been resolved or cleaned up. The Fukushima plant was built to withstand only a 7.9 magnitude quake – despite the fact that an earthquake of 8.0 magnitude or greater has struck northeastern Japan once every century for the last 400 years. 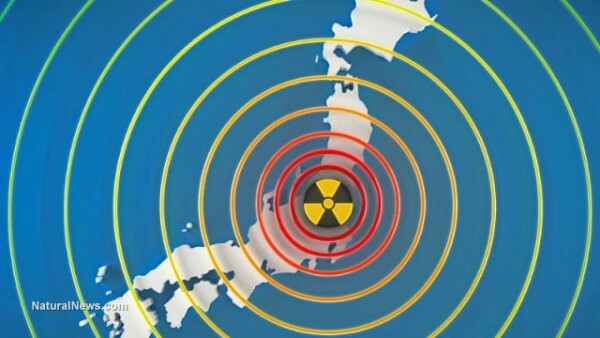 An earthquake-triggered nuclear accident on the scale of Fukushima – or worse – could easily happen in the United States. The San Onofre plant, which is situated close to the ocean, has a concrete wall designed to withstand a 25 foot tsunami. The tsunami that struck Japan in 2011 was 33 feet high. The Hanford Reactor, situated on the Columbia River in the state of Washington, is another potential disaster site. The aging facility with its eight reactors is already leaking radioactive coolant into the groundwater and could pose a huge risk to the entire region and beyond if a major earthquake occurred in the area. Why are nuclear power plants being built on fault lines? How could anyone be so stupid as to build a nuclear reactor along a major fault line? A 2011 report published by Harvard Law School may provide at least a partial answer. In other words – at least in the case of Tokyo Electric and the Fukushima plant – companies who build nuclear plants are not financially liable for the potential damage they may cause. And so it appears that they can build them wherever they want.